The BG Saxophone Harness is designed for use with Alto, Tenor or Baritone saxophones. The strap is hand-stitched to deliver a high-quality and durable strap. The BG Saxophone Harness minimises stress and strain on the neck muscles by carrying the weight of the saxophone which also helps to keep your instrument stable and secure. 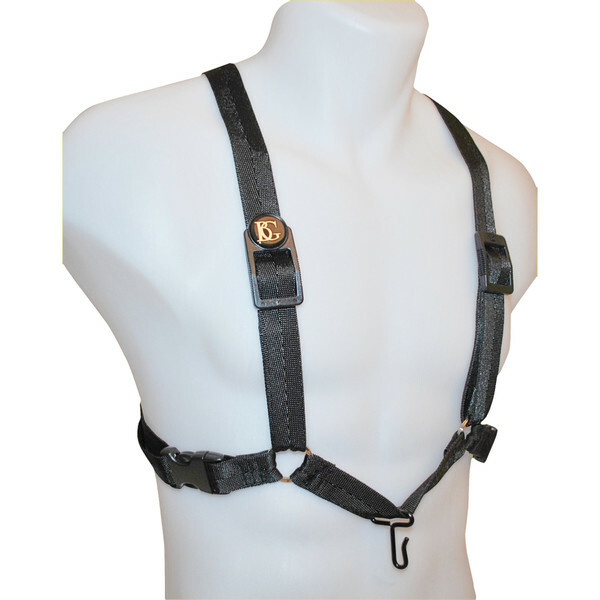 The harness features a cross strap design placing weight on the centre of the back and spreading across the shoulders, resulting in a comfortable playing experience.